We keep a vast selection of rifle ammunition in stock for both centre fire & rim fire rifles. We do our very best to keep our rifle ammunition as competitively priced as possible, bulk discounts are available on centre rifle orders over 200 rounds & rim fire orders over 2000 rounds. We keep the following brands in stock in most popular calibres such as .222, .223, .22-250, .243, .308, .25-06, .30-06, .270, .300 Win Mag & 6.5×55. 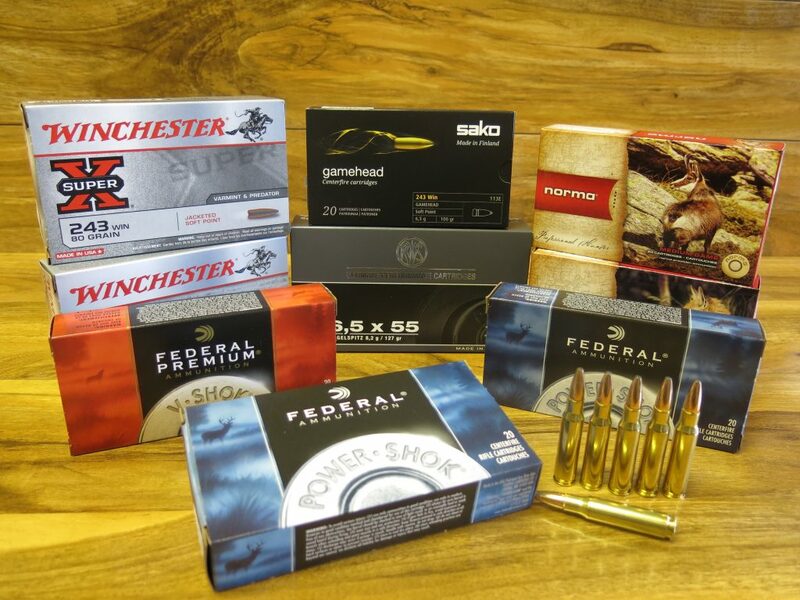 We keep the following brands of ammunition in stock, Winchester, Federal, Hornady, RWS, Norma, Remington, Eley & Sako. If you can not see the ammunition you are looking for please feel free to give us a call. A member of staff will be more than willing to assist you and make every effort to source the ammunition you are looking for should it be .22LR target ammunition or large safari calibres for your next trip abroad.